If you’ve been rolling around in my Twitter or Facebook bios you probably know that my zombie novel, FATAL, and its sequel are now going to be published by Omnific Publishing!!! The expected release date is March 25, 2014 and it will be available in ebook and paperback form. I am ecstatic. I am THRILLED. I am ELATED. I wrote FATAL in 2010. It was one of those magical manuscripts that just sort of writes itself. Once I started writing, I didn’t stop. Couldn’t. I stayed up until five in the morning some nights, afraid I’d lose the words if I took a break to sleep. Silly me. But it was okay because I finished drafting it in less than three months. After spending time obsessively editing and revising, letting betas read it, then reworking… I sent queries to my favorite agents. I’ll admit, I felt like this one was the one that would help me land my agent. I was ahead of the zombie craze (or so I thought). The Walking Dead wasn’t out yet and neither was Warm Bodies (the book). Zombies just weren’t that big a deal. Yet. And bonus: I had recreated them. Mine weren’t like any zombies you’d ever heard of. I had something special, y’all. I can’t say I was devastated or anything because I know how subjective the business is. And these are professionals. They know what they’re doing. If they say no, it’s for a reason. BUT I still thought I had a good story to share. So I queried some more. And some more. And still nothing. Not a single request to see more. I put it away. Shelved it. With a promise to visit it again later. In the words of one of my favorite bands, Family Force 5: zombie, zombie, ZOMBIE! 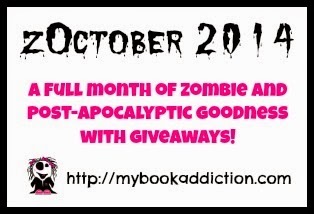 *GASP* a romance involving a zombie and a human OMIGOD I WROTE THIS!!!! As I realized WHY nobody wanted my manuscript. From my understanding, it can take a traditionally published book over two years to get from sale to shelf. My cute little zombie thing was NOT ahead of the trend, it was in fact, behind. I heard things like this: zombies are the new vampires. Which is a really scary thing for a writer with a zombie manuscript to hear. Because, there is this stigma surrounding vamps: there’s hardly an agent out there who will look at a vampire book. Those agents DO exist, but they’re on the endangered species list. (This is just what I’ve garnered from agent/writer friend interactions, btw. I’m not a pro on the subject.) Basically, zombies were the new trend. And trends die out. People STILL read about vampires. They still LOVE vampires. There were (and still are) stories where the vampire concept is twisted into something new and interesting and amazing. Vampire stories have been around for ages and they aren’t going anywhere. I came to this conclusion: Trends don’t die out. They just change. Like a caterpillar on a revolving door, they keep coming back around. Except one of those times around, they’re going to be something completely different and unexpected. I decided I wasn’t giving up on my story. Now I needed to decide exactly WHAT to do with it. I read Warm Bodies. Surprise. It was nothing like Fatal. I read more zombie stories. Still, nothing was like mine. I felt like I had something unique and special. Last February—Valentine’s day, to be exact—I self published FATAL. My decision to selfie it was not an impulsive thing. I put a lot of thought into it, discussed it with people I trusted, changed my mind a few times, slept on it, showered on it (you know writers and their showers, every problem can be fixed in the shower), and ultimately decided it was the right thing for this particular book at this particular time. It did well. Not best-seller status or anything but… I was not disappointed. Reviews were good. The reception was good. People LIKED it. Which was altogether amazing and nauseating. But once I got over the nerves, I realized something. See, when you’re a self-published author, you alone are responsible for… well, everything. The cover, blurb, promotional materials, blog tours, review requests, marketing. Some people thrive at these things like they were born to be an indie author. I kind of envy them. They make it look so easy. I kind of admire them because I know it’s not. The solution to my problem came in the form of an idea to pitch my story directly to publishers. I went back to querying, except this time, instead of agents, publishers. This can be tricky sans agent since there are, what I like to call, schmublishers out there. Schmublisher- (n.) A company with relatively no publishing experience, references, ect., who is willing to screw you over if you are willing to sign over rights to your work. Back to the story. 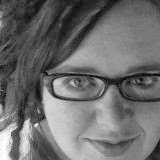 I queried five small publishers. (I should note, some publishers won’t consider a previously self-published work.) Four requested to see the complete manuscript. All four made offers to acquire. One was a schmublisher (I clearly didn’t do enough research on this one) who wouldn’t even send me a contract to review*. Omnific was the first to offer and had been sitting at the top of my list since I sent the queries out. Then I did this (with no make up because of course I forgot I'd be posting this on my blog for all to see). And NOW we are going to make beautiful book babies together! 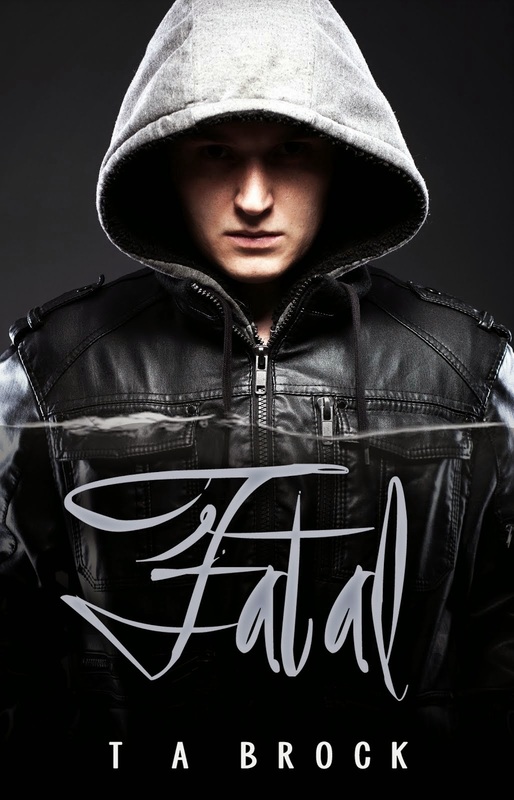 If you haven’t already, and you’d like to, you can add Fatal to your Goodreads shelf! By the way, I’m still looking for that dream agent but that’s another story for another time. hehe, i'm still so excited for you :) You won't regret going with Omnific. The girls are awesome, they stick to their release dates, and they are so incredibly supportive of their authors. And working with Traci is a zombiedream come true! and a big huge pat on the back for trying self publishing first. i'm too chicken and I KNOW i'd be awful at doing everything myself. 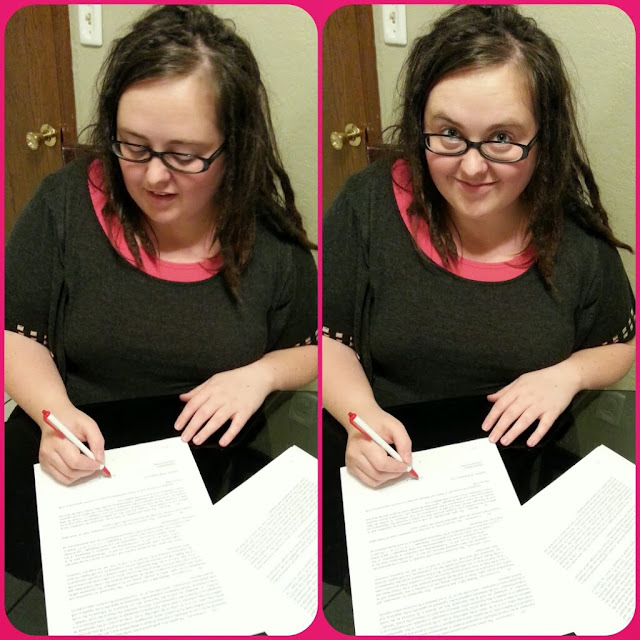 I have an agent, and she's seriously considering representing the second book to Love in the Time of the Dead and has sold zombie books in the last couple of years to the mayja publishers, so i'll message you her info for future projects you write if you want :) also, i need the deets on this schmublisher!